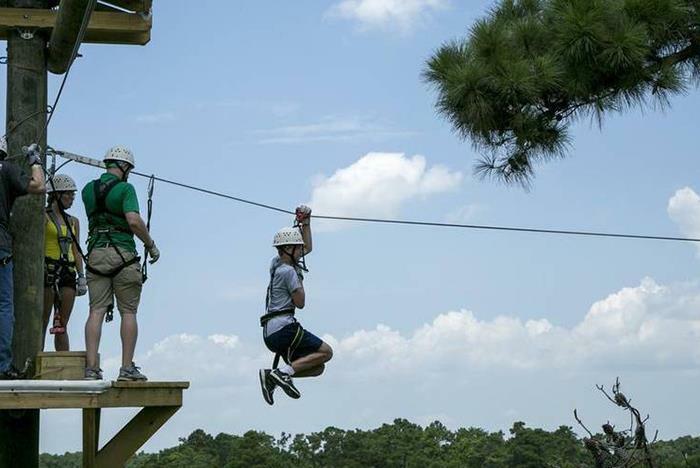 Amplify your Myrtle Beach vacation with a high-flying ropes adventure at Radical Ropes. 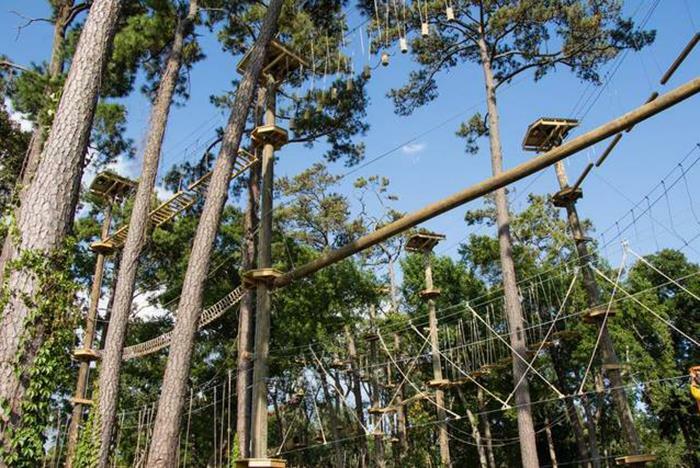 This extreme ropes course spans across a five-acre forest and includes climbing, obstacles, zip lines, and so much more. Throughout your treetop excursion, you’ll be treated to unbelievable views of the ocean. 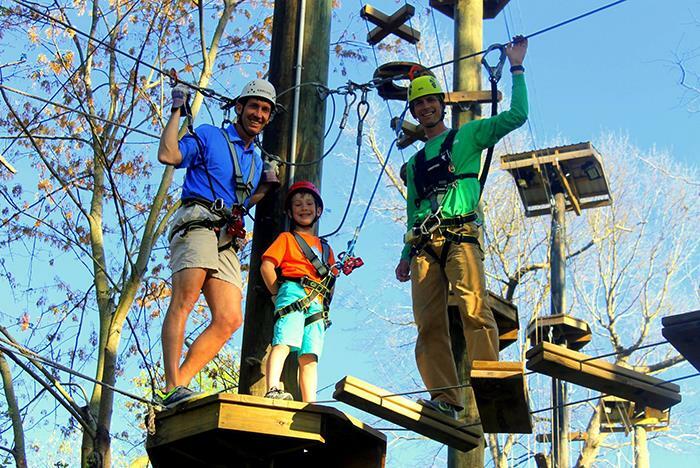 Radical Ropes offers zip lines and ropes course fun for all ages right in Myrtle Beach. Guests must adhere to the specific height, weight, and age requirements for each experience. Zipline participants must be over the age of 10. Aerial adventure participants must be over the age of 7. KidZips guests must be between the ages of 4 and 8. 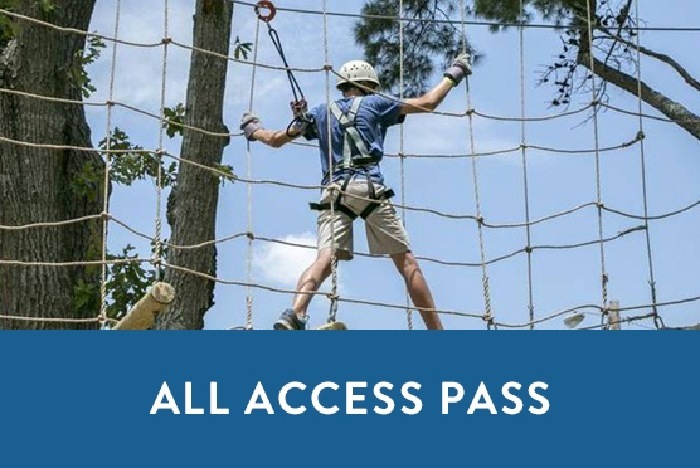 Experience all of Radical Ropes’ adventures with the All-Access Pass. Arrive at least 15 minutes prior to your scheduled adventure. 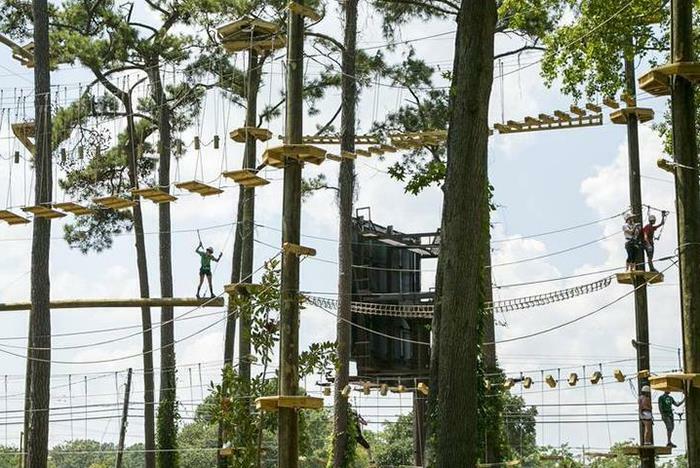 Combining an exhilarating aerial adventure park with extreme zip lines, KidZipz and more, the spectacular new Radical Ropes Adventure Park in Myrtle Beach offers adrenaline-pumping action above and beyond anything else on the beach. Imagine soaring through the treetops of a five-acre forest – while experiencing breathtaking views of the ocean. Radical Ropes takes awesome to the extreme…naturally! 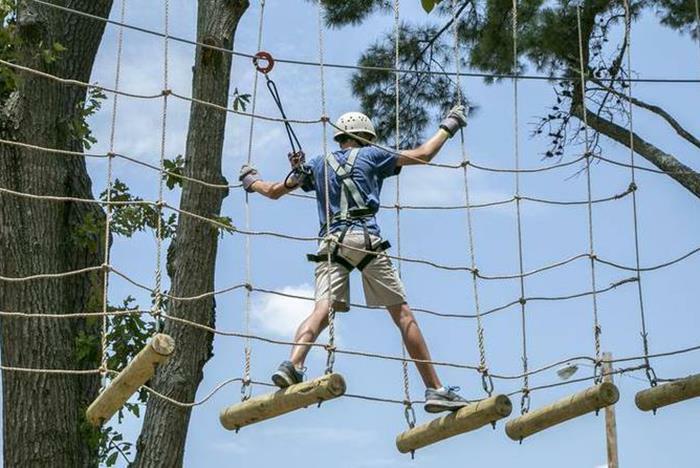 Come experience your “natural high” at Radical Ropes Adventure Park! 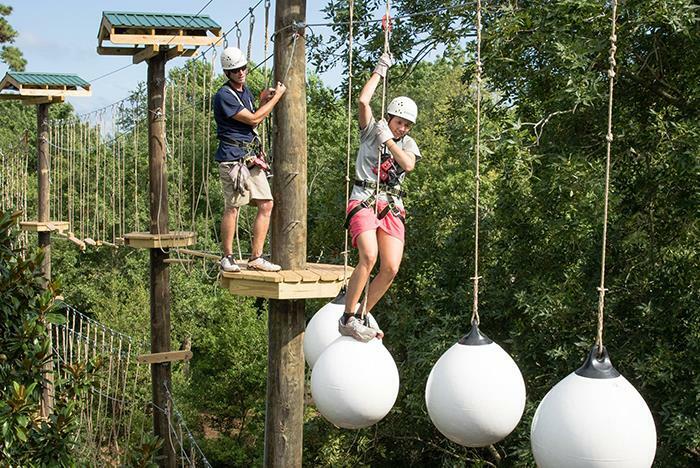 An Aerial Adventure Park is a series of elements or obstacles above the ground. For those who are more adventurous, the higher routes are increasingly more difficult. In other words, the higher you go, the harder the challenge. 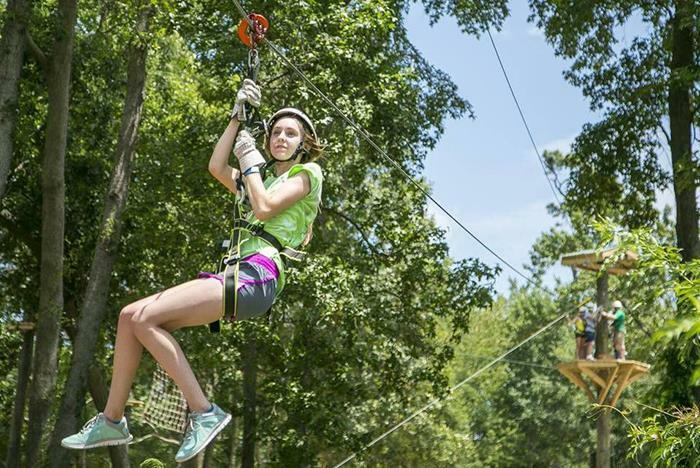 What is a Zip Line/Canopy Tour? 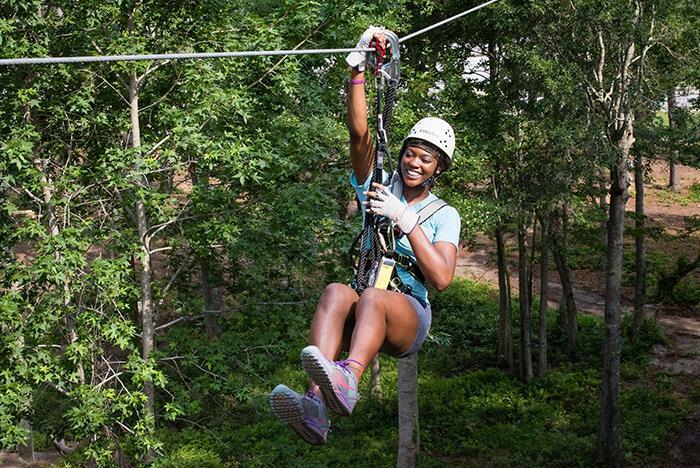 Zip Lines will have you soaring above the ground for a bird’s eye view of the Radical Ropes Adventure Park. 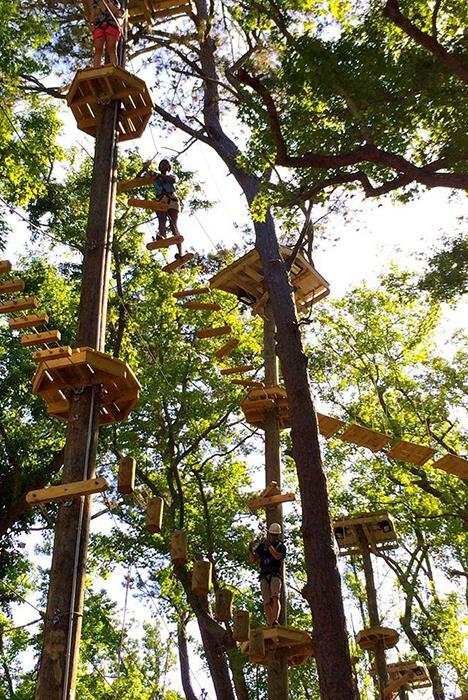 This guided tour will provide thrilling zips with varying lengths through the forest canopy. What is the Leap of Faith? You’ll harness up, be lead to the top of the tower, and be hooked up to the Leap of Faith. The rest is up to you! 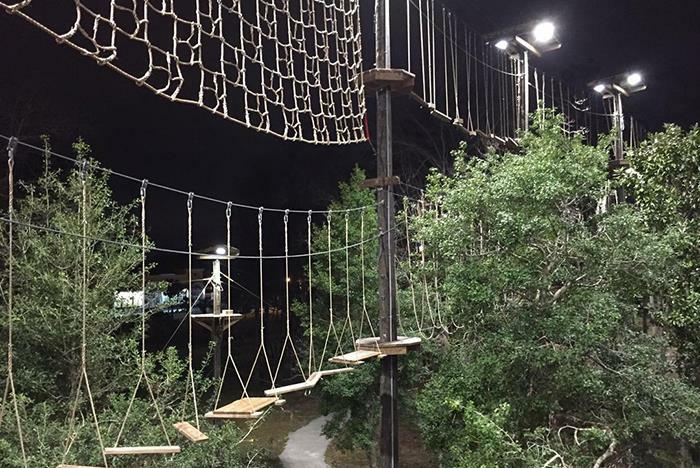 Step off the platform and experience a quick descent of over 65 feet straight to the ground. The belay system will gently slow you down as you get closer to the ground. What is the Climbing Wall? 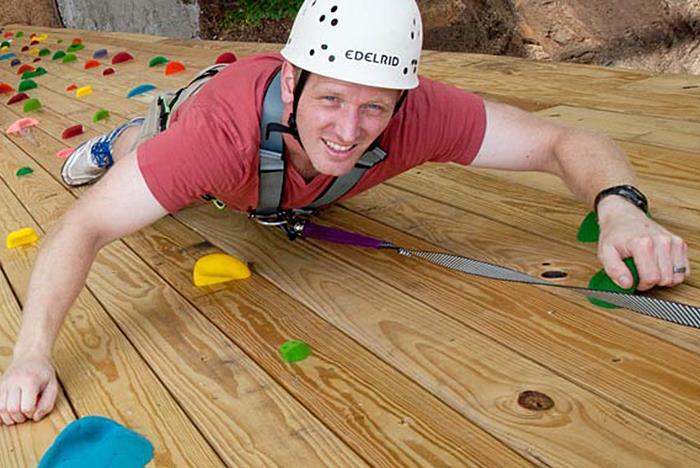 The climbing wall is 70 feet tall complete with handholds you can grab to propel yourself to the top. The wall is equipped with 2 auto belay systems that will keep you safe while you race to the top. The youngest adventurers will enjoy this course designed just for them. It includes a walking bridge, cargo net, and 4 zip lines. Participants can go around the course up to 3 times and must have an adult (18+) on the ground watching them. Kids will be no more than 10 feet off of the ground. What are the height and weight requirements for each experience? All guests must be between 60 lbs and 250 lbs. All guests must be between 42″ and 6’6″ in height and must fit properly into the harness and other protective equipment. All guests must be 10 years old or older. Guests 14 and under must be accompanied by an adult. All guests must be between 40 lbs and 250 lbs. All guests must be between 48″ and 6’6″ in height and must fit properly into the harness and other protective equipment. All guests must be 7 years old or older. Guests 14 and under must be accompanied by an adult. All guests must be between 45 lbs and 250 lbs. All guests must be at least 42″ tall. Must fit properly into the harness and other protective equipment. All guests must be 7 years old or older. All guests must weigh below 100lbs. All guests must be between 36″ and 54″ tall. Must be between 4 and 8 years of age. *An adult (18+) must be present and supervise from the ground. Are there health restrictions for the experiences? Are under the influence of alcohol, illegal drugs or legal drugs that impair you in any way (all courses). Have recent or recurring neck, back, or musculoskeletal injuries. Have epilepsy or seizure disorders that do not permit you to drive. Suffer from a heart condition that may require immediate medical attention. How long do the experiences take? Generally speaking, dress for the weather. Longer shorts and t-shirts will prevent the harness from rubbing against your skin. You must have closed-toed and closed-heeled shoes to participate. Absolutely no flip-flops or Croc-style footwear will be allowed on the Zipline, Aerial Adventure Park, Climbing Wall or Leap of Faith. Appropriate shoes and socks are available to rent in case you forget. Can I take my camera or phone on the course? No. Photo packages are available for purchase at the end of your experience. Is Radical Ropes wheelchair accessible? Yes, our building is complete with two wheelchair accessible ramps. If you would like to follow along and watch your participants on the course, please know that the path is gravel and can be rough in certain areas.